A highly strategic and tactical game. Players will alternate between commanding troops and customising them. Plenty of equipment, strategies, and game settings provide tonnes of replayability. Every players starts with 4 marines in any room. After 1 team remains, players can customise their marines in preparation for the next room/round. Each one can equip up to 2 guns, 1 armor, and 6 items. The game ends based on the majority vote on the win condition from the lobby. Very effective at wearing down armor. Only accurate at short ranges. Powerful and regenerates ammo. It is more expensive to obtain than other items. Allows marines to survive several more hits. It's weight limits what else you could equip on the marine. Marines can instantly travel to a target location. There are limited uses and cooldowns in between. The marine remains cloaked until they perform an action, that usually involves attacking, and cloak re-enables at the start of each turn. There are ways to detect cloaked units and taking damage also disables cloak. This is not supposed to be an exact replica of the original X-COM games. Just simplified, multiplayer supportive, and my own spin on the gameplay. I've also used many game concepts and mechanics that I feel make the original X-COMs great. Hmm. Rifle does appear to snap properly. It seems to have infinite accuracy, and also can no longer target the ground. Also, none of the other effects have charges, still. I did some minor bug fixes regarding the vehicles and the death animations. When I said shield recharge, I meant the item, not the passive regeneration. Like 50+5x, not 5x regen. Well, I have no idea if mines are supposed to cloak or not, but I do know that you cant test cloaking with single player, unless a good visual effect exists. I've tested the shields and, as expected, it won't allow a shield item to be used when the shield life is 0. However there's still the issue of receiving the old shield regen amount on the turn after the shields went down. I agree that EMP's effect on shields need to be fixed. I've tested the mines on hostile marines and it works properly (which is good). Although it is unrealistic that a mine can be set up at a shooting range distance away from the marine. It would be more suitable for mines and demolition charges and to have a range of 1 (or melee range). There are some other bugs such as specific vehicle types not blocking projectiles, and that the death animation from rocks are too disproportionate to the size of the rock. I'm trying to locate the source of the problems, and have tried to modify the death animation of the rock, but only had limited success so far. Anyways, good job on the items. Shields do not fail quite correctly atm. Two issues exist. One, When the shield fails, it will not lose capacity immediately. it waits until the next turn instead. I believe this would allow you to recharge your shields again before turn end, hence is a problem. Also, on the next turn, you still get the old level of regeneration. I think you should add a second shield behavior, which handles the shield being active. When the shield hits zero. It deactivates (disable instead of remove) and removes a shield layer. It reactivates (re-enable) when shields rise again next turn, or with a charge. Shield recharge does not appear to restore the expected amount of shields when used. I had it restore 20, 50, 70, and 80, but am unsure how it was determined. I might have to look at the map to figure it out. Oh, and it also doesnt work if shields are already down, but that might be intentional. Im not sure if it should either. Also, EMP currently annihilates the shield totally(It refuses to recharge next turn, and loses a layer, until whole shield is gone), and does not appear to disable other weapons. (probably haven't gotten to the second part yet, so not an issue) It also seems to remove a shield layer immediately, unlike normal damage. and all of the tooltips are unfinished, but that is to be expected. Still need to add targeting assist, so you can attack units directly with stuff. Some of the time aiming is impossible, and still nothing nearby explodes or takes damage without AOE attacks. Hmm. Stun grenade (or was it disruption grenade?) Appears to steal all the energy next turn, although I still disagree with the effect. Assuming teleport displays the range correctly, it works fine. Electromagnetic Tech - Manipulation of Electromagnetic waves. Highly focused lasers, as well as Energy bursts. Plasma Tech - Manipulation of plasma, effective creation, as well as containment. Alien Alloys - Creation of far more durable and lightweight materials than normally is possible. Might also call it advanced armor. Warp Tech - Manipulation of energy fields, as well as translocation warp effects. Shield items provide 1 shield level. Each shield level gives 100 shield capacity. All shield items are active at the start, providing the maximum shield capacity but starting with a non-zero percentage of shield life. When a shield is depleted, the shield level is reduced by 1, permanently reducing the shield capacity. Further damage while the shields are down will not affect the shield level. Shield completely disappears when shield level is 0. Shield armor provides 1 permanent shield level. Can stack with shield items only (can’t equip more than 1 armor). Restores 40 +15% of max health. Also fixes 1 layer of armor. Use on self or use on allies in melee range. Deals 10 + 5% of max hp. Target marine gains 20 energy instantly, with additional 5 energy regen for the next 2 turns. Deals 5 dmg, drains 50 energy total over 2 turns (amount may vary). Suppresses target marine’s energy regen for next turn. Reduced effect on battle/power armor (unless if armor has 2 degrades). 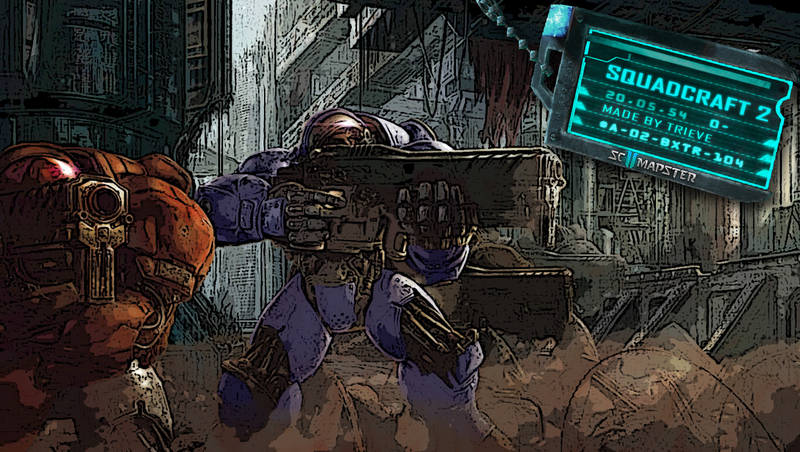 Teleports the marine to the chosen location. 30 range. Possibly disrupting high tech weapons for 60 seconds(?). Effect varies, depends on whether the target has active shields or not. Shields (100+ hp before damage) will reduce the duration of the disruption effects of EMP (?). Deploys a mine that takes 20 seconds to burrow. Is cloaked while burrowed. Will react to cloaked marines. AOE radius of 2. Can only be destroyed by area of effect damage such as grenades, rockets (the mine also detonates upon death). Sets up a demolition charge at melee range. Can be remotely detonated only by the marine who set up the demolition charge. Powerful explosive damage (200 dmg +1500 to structures). 1 charge per item. 2 inventory size. 30 armor. 2 inventory size. 10000 credits and 300 minerals. Requires laser (electromagnetic tech) and armor (alien alloys) research. Reduces damage from high tech weapons by 50% when the marine has zero shield hp. +5 starting energy, +5 max energy, +5 energy regen. No armor. No inventory size. +10 starting energy, +10 max energy, +10 energy regen per turn. No inventory space required. No armor. 9000 credits and 300 minerals. Requires armor tech (alien alloys) and warp tech. Provides a permanent +1 shield level. Can stack with shield items. Boosted shield regen (?). 10 armor, 1 inventory space. Increase the max ammo amount on energy weapons. Cost 5000 credits and 100 minerals. Heavy Armor – change it so it provides 60 (or 70) armor but it takes up 3 inventory space. Delete the weaker version of prototype armor because it is too weak. Each attack shoots 6 shots, each dealing 8 damage. Perfect accuracy at 4 range, 60% accuracy at maximum range of 7. 60 starting ammo. Additional 60 ammo will cost 300 credits. Shoots a mini yamato cannon shot at the target. Perfect accuracy range of 7, max range of 13 at 80% accuracy. Deals 130 damage with area of effect radius of 3 (+1000 against structures). Requires laser and plasma research. Costs 10000 credits and 400 minerals. Melee range. Perfect accuracy at melee range. 50 damage (+200 to structures). 15 charge capacity, recharges 5 per turn. Add an ammo regen system for all high tech weapons. The max ammo limit should be significantly lower than that for standard weapons. Once completed, reduce the attack energy cost of the high tech weapons. Add a mechanism that allows the purchase of extra ammo for standard weapons. Add range indicators, 1 for perfect accuracy range (green colour), 1 for maximum range (yellow colour). Implement fixed targeting for when the target is moving (so the shot won’t miss if it should have hit). is it one player at all?